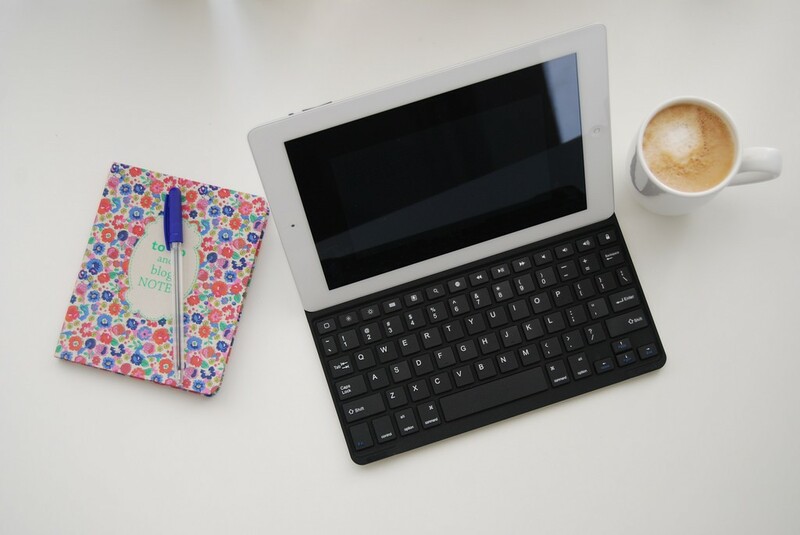 Are Blogging and Writing the Same Thing? I’ve been wrestling with this question lately. And I’ve known my answer, but I’ve hesitated to post it here. After reading “When Commerical Christian Publishing was Bad for My Soul” by Ed Cyzewski yesterday and reading the post “Art and Fear” by Karen Salyer McElmurray this morning, I feel like the time is right to share these words with you. So, are blogging and writing the same thing? I believe they are not exactly the same thing. Now, yes, of course, blogging is a form of writing. It takes time, effort, and thought to blog. Some blog posts are open and raw and take a lot of courage on the part of the blogger. Some blog posts are surprising and brave and take guts to write. And the ability to write funny blog posts is a skill that I think I will never acquire. But blogging is always for an audience. Every blogger knows he or she is putting her words out there for the world to see. He/she wants for people to read his/her blog. Blogging is a very public act, and act that requires immediate response, an act that demands attention. Writing, on the other hand, is intensely private and intimate. While a writer’s long-term goal may be to publish a book for others to read, the beginnings of that book are written in isolation, with many feelings of frustration, failure, and occasionally, triumph. A writer struggles through writer’s block and crappy drafts and lack of ideas. A writer may write dozens of pages and have no one to read them. A writer commits to showing up regularly and attempting something that is usually impossible to pin down. A writer cares not just about success, but about creating art. I think the line between blogging and writing has gotten blurred. While I absolutely love blogging and subscribe to/regularly read quite a few blogs, I think that social media has forced blogging to become a business rather than an art. People write controversial blog posts to get Likes and Retweets and Shares. People sell ads and promote themselves. Are these things morally wrong? No, that’s not what I’m saying. I’m saying that blogging opens the door to a world of self-promotion, money-making, and number crunching, and that you need to be careful not to get sucked into that stuff. Oh, I got caught up in it all for a while, too. I got stuck in never-ending cycle of constant self-promotion and page view counting. And I hated it. Every time I wouldn’t get a Like or retweet or comment, something inside of me would sink. My self-worth was shrinking. I was letting responses (or lack thereof) to my blog gauge my value. A world that has the ability to give us instant affirmation also has the ability to give us instant rejection. The sad thing is that the world of publishing is not immune to all this. A friend of mind has a manuscript with an agent and is waiting to hear about securing a contract with a publisher. Right now things are looking grim. Mainstream publishers want writers who have thousands of Facebook likes and shares and twitter followers. They want to guarantee that a writer’s book will sell. While I understand that the entire publishing industry is in a precarious position nowadays, I believe that making publishing decisions based on social media popularity is equivalent to removing art from society. In some ways, I think blogging has taken the art out of writing. Just because someone has lots of Likes doesn’t necessarily mean they can write a well-crafted book. Don’t get me wrong – I think that some bloggers will and do make excellent writers. But I don’t know that we can always rely on the formula Popular Blogger = Talented Book Writer. Blogging and writing do different things to your psyche. When I sit down to blog, I am in a different place psychologically than I am when I sit down to write. I am speaking to friends. I am talking to people. Yes, sometimes, I am trying to be artsy and write something beautiful, but I am always thinking about whether or not people will like it. When I sit down to write, I am focused on the writing. If I am working on poetry, I am trying to see if all the moving parts of the poem work well together – rhythm, word choice, line lengths, white space, consonance, metaphor. If am working on fiction, I am focused on the believability of the story, and if I’ve developed the character enough, and would this character really say that or not and whether the setting detracts or adds to the story. I think maybe this is another reason why I lost steam with my creative non-fiction manuscript. I was thinking more about audience than about art. I write these words as a blogger who has been blogging since 2006. In some ways, I do think that blogging has benefited my writing. The practice of writing regularly is important, and blogging helps you with that. I also think blogging was sort of like practice for my creative non-fiction writing. However, I also write these words as a woman who has blurred the line between blogging and writing before. I write these words as a fan of blogs and a fan of books. Perhaps I write these words as a haughty MFA writer. If so, I ask your forgiveness. But if you call yourself a writer and all you do is blog with the purpose of gaining popularity, you are missing out on a huge aspect of writing. You are missing out on the side of writing that is struggle and isolation and hard work. You are missing out on the side of writing that is glorious and creative and affirming – not because someone else affirms your words, but because your words affirm you. Your words affirm who you are, what you believe, and what you can become. Am I writer? Am I an artist? I would like to think so, but I am not sure. I think I still care too much about what people think. Yet I can tell you this: Often it takes 10 pages of crap to get 1 page of good writing. Often an hour of writing only gets you one decent paragraph. Failure is a huge part of this, whether it’s my failure to produce lots of words, or it’s some editor of some literary magazine who tells me my words aren’t good enough. When you’re a writer, success means pressing on and trying again. Success means not giving up. Success doesn’t mean a 50% acceptance rate or a million Likes or a thousand Twitter followers. Success means that I can read my words, and I can declare them good. I recognize a voice and a message that matters without anyone else telling me so. I read my words, and I see myself, and I also see all of humanity mirrored back to me in them. That is when you know you are a writer. When you’ve done the hard, lonely work, when you’ve slogged through draft after draft, and finally, when the voice of good writing emerges, you recognize it. And you call it yours. I’ve also given this a good bit of thought, and I think I have a different approach. When I sit down to blog, I’ve already been thinking about my post for awhile. Sometimes for days or months. I don’t write it in haste. I edit. I consider myself creating art. I know that I’m writing for publication, but honestly, every essay, every section of every book, in my mind, is ultimately for publication. Sure, I delete lots of stuff before sending it out there, but I also delete parts of my blogs when I edit them. As far as the commercial vs. art thing goes, I’ve turned down many requests to advertize on my blog, and I’m not selling anything. Of course I would like a response from my readers, either on the blog or on Facebook, but I also write to elicit a response from my readers in essays and books. I don’t write in a vacuum. I always write with the reader in mind. I realize not everyone writes this way, but I thought I’d toss my point of view in here. You know I love your blog and I enjoy our discussions here. Actually, I appreciate your perspective! Especially because you are published writer and a blogger. Good points. The post reminds me of arguments I’ve heard about cheerleading and graffiti. Is one a sport and the other art? I think so, in the same way blogging and commenting are a form writing. Are blog posts cheapened online and their purity ruined because their results measured? By contrast, are other forms of writing pure because they are not subject to the a feedback loop? I don’t think so. I have read plenty of posts that have moved me, taught me new things, or other worthwhile things. To me this post read like blogging may not be right for you because you’re too invested in the outcome after it is brought into the light. In my circle I see some writers who continually chase the numbers. They want the validation of reads, shares, and social media activity. But others still blog for the joy of it and care not for all the back end stuff. To them, it’s a bother. Why not just work to become part of the latter and divorce from the outcome of the post?